New Homes Accredited Contractors: A few years ago ENERGY STAR revised their Certified Homes program, these videos review the changes to their program. ENERGY STAR Certified Homes has recently made some appreciable revisions to their program’s checklists and information processes. 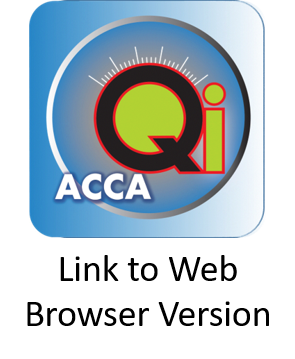 These revisions became a requirement in July 2016, and ACCA has prepared three introductory videos that look at the revisions to the information flow and the checklist’s content. More information to help you succeed. Below are three instructional videos about the Residential Service and Installation (HVAC system replacement) contractor accreditation offered by ACCA. These videos will prepare you to take the RSI Assessment Test. Here is an instructional video if you need help setting up an ACCA account. Additional videos produced by ENERGY STAR regarding the changes in Rev. 8. ACCA writes the standards for residential HVAC design, installation, and maintenance.